Our keys and various locks are something we rarely give much thought to, even though they are a big part of our routine. Whether we rely upon on vehicle to get us to work or we always make sure to check out front door is locked before we leave, our keys and locks are an essential step to being safe. But the moment our keys or locks stop working right you definitely take notice and need help from a locksmith right away! This is why it's so helpful to find a locksmith service that specializes in 24-hour emergency key services. They will be able to help you no matter what time it is, no matter what situation you've found yourself. Nobody ever plans to get locked out of their home, car, or business. However, it's incredibly common for an individual to find themselves locked out at some time or another. Whether you've forgotten your keys on the counter before running out the door or you've dropped your keys beneath the seat before closing your car door. You might forget your keys in your vehicle's trunk before slamming it shut or lost the only set of keys to your office. No matter the reason, being locked out is never fun. This is why it's so helpful to know of a professional locksmith service who provides emergency lockout service, no matter what time of day or night it is. Whether you get locked out of your home, locked out of your car, or locked out of your office we are here to help! 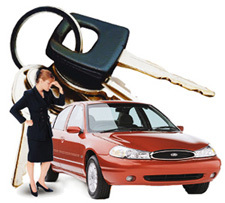 When you are in need of locksmith service, a lot of the time you are unable to get where you need to go to get help. The keys you need in order to drive to a locksmith, might be the very thing you are currently missing. When you need a locksmith, it's rarely because of a convenient situation. This is why it's so helpful to find a locksmith service that offers a mobile locksmith service. Mobile locksmith services are able to bring their tools and skills to your location, regardless of what time it might be. A mobile locksmith service is one of the best ways to quickly alleviate any stress you may feel regarding being locked out, losing your keys, or experience some other complication with keys or locks. If you are in need of a mobile locksmith service in Reno, be sure to get a hold of our team here at Reno Sparks Lock and Glass. For the most part, keys and locks are a seamless part of our everyday routine. We rarely give them much of a second thought, since they tend to always work. However, the moment your keys or locks stop working right, you immediately notice. And it's not always at the most convenient time. Sometimes you need locksmith help in the middle of the night, which is why it's important you find a mobile locksmith service that specializes in 24-hour locksmith services. The next time you find yourself in a pickle and need 24-7 emergency service give us a call over here at Reno Sparks Lock and Glass at (775) 525-5712 right away! We understand how stressful it can be to be locked out, which is why we are here to ensure you get the locksmith help you need when you need it!